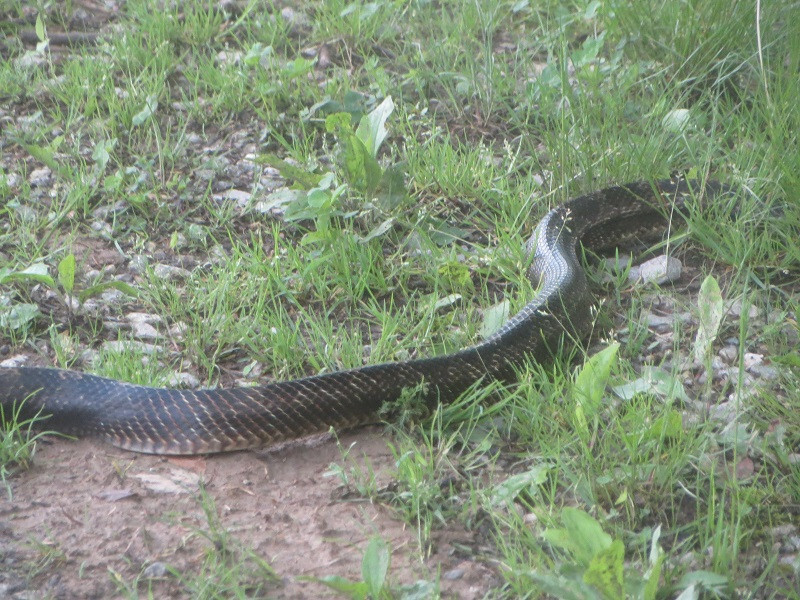 Several weeks ago this black snake crossed my path. Black snakes are omens of good fortune. Like most good fortune, they are inconspicuous and rare. So, when a specimen presents itself, it behooves one to take notice. I was able to capture the last half of this mysterious and dignified being, as it undulated into reaches unknown. The perlexing question left behind was, what is the beneficial news it portends? Two shadebmobiles offer welcome reprieve, even on an overcast day. This past week has been rich with grassfed offspring, bringing the future to the present. 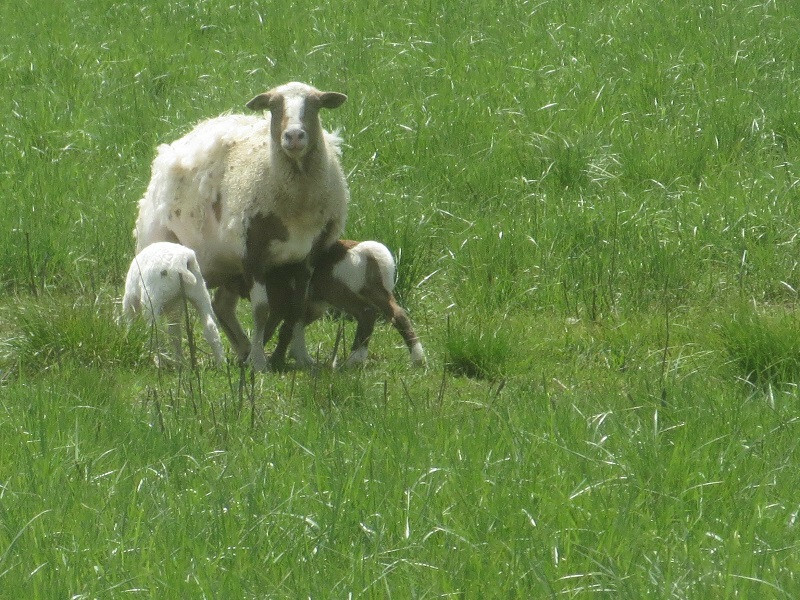 Lambs, dairy calves, children from Head Start, great-nephew, granddaughter, and Robin's egg - are all finding purchase on this grass-based farm. Sometimes it is prudent to defy conventional wisdom. This picture was taken a week ago, at the tail-end of winter, it seemed. We had just started grazing without supplementary hay, and were trying to assess pace at which to proceed. 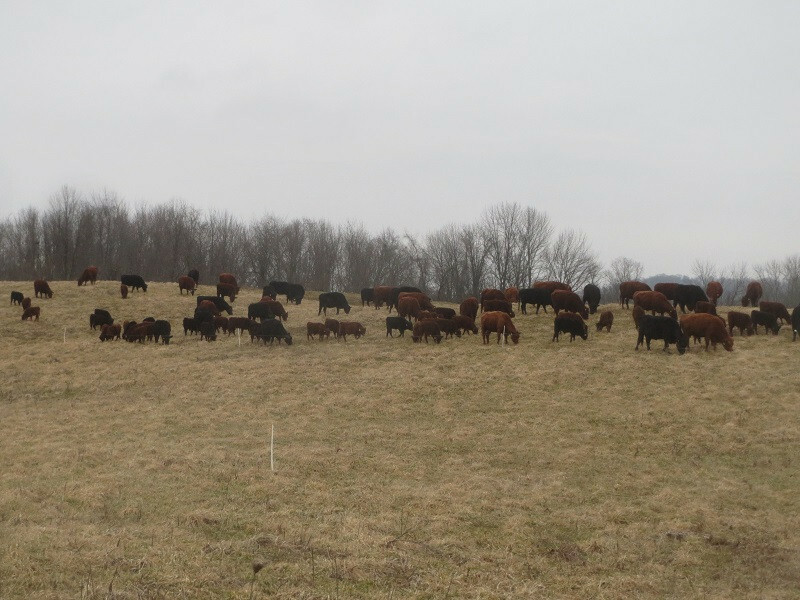 The convention, at the outset of the grazing season, is to move animals quickly and leave behind as much grass as possible, so it will regrow rapidly. 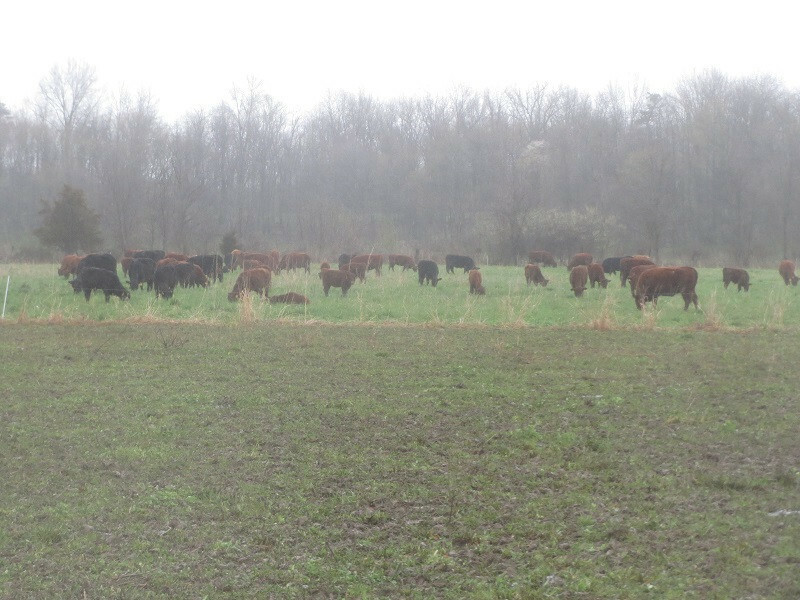 This approach maximizes quantity of forage produced for the year. Grass that has been grazed short, as in the above, will not regrow as quickly because fewer solar panels are in place to stimulate growth. These ewes are about to engage in a great spiritual event - giving birth. Animals, unlike humans, do not seek spirituality. They own it, are part of it, even create it. Giving birth is an extraordinary experience, and it is in the extraordinary that the spirit lies. A mother delivering a child is clearly in an exceptional dimension, which feels sacred to most witnesses. As these ewes bring forth new life over the next month, we honor them, pay homage to them, for the great miracle they propagate. This week we assessed the cow herd. We "palpated" cows, fixed eartags, vaccinated all, castrated bull calves, and dehorned calves needing such. We worked about 150 head, requiring four hours of time from seven people. It was quite a process. Being that close to such large animals is transporting. You feel their immense power of body and soul. You can touch them, which they won't let you do in the field, and look into their eyes. 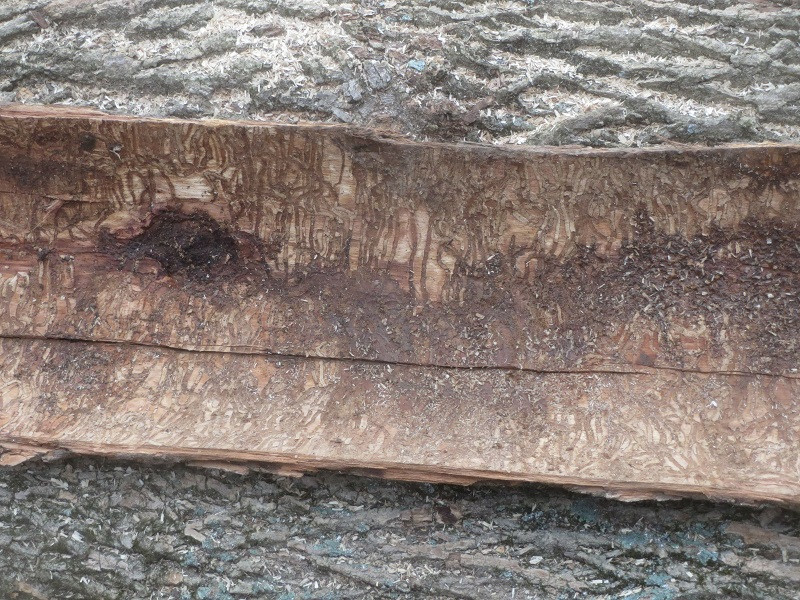 Views of landscapes are so seductive, it can be tempting to ignore what is happening up-close, such as beneath the bark of trees. 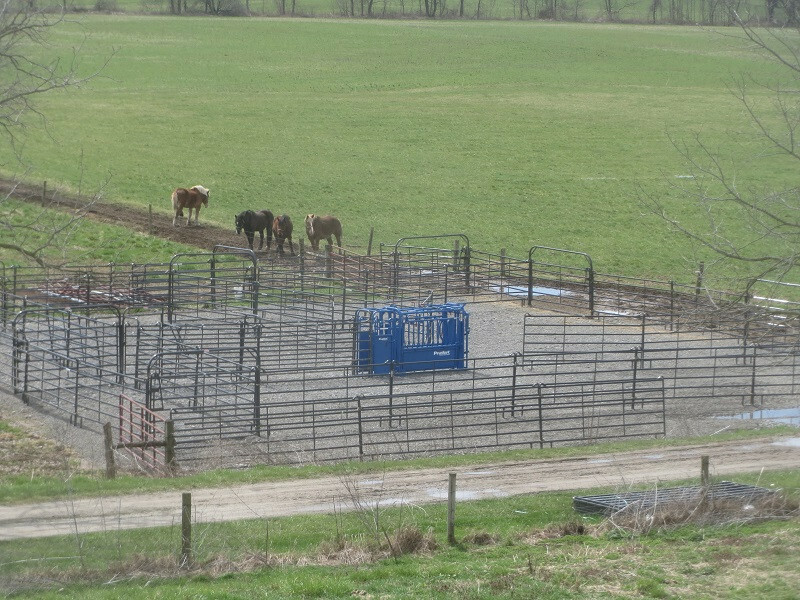 Landis Weaver and I worked side-by-side to construct this sorting corral. It took several afternoons to do so, and then we tested it out. A number of remarkable aspects to the experience surfaced. First, the metal panels employed (made by Priefert, out of Texas) come with chains, high and low, at one end, which hook to slots, high and low, at the other end of the next panel. Thus, hooking panels together works readily, creating a solid stucture. It is gratifying how quickly one makes progress, chaining one 15-ft. metal panel to another. 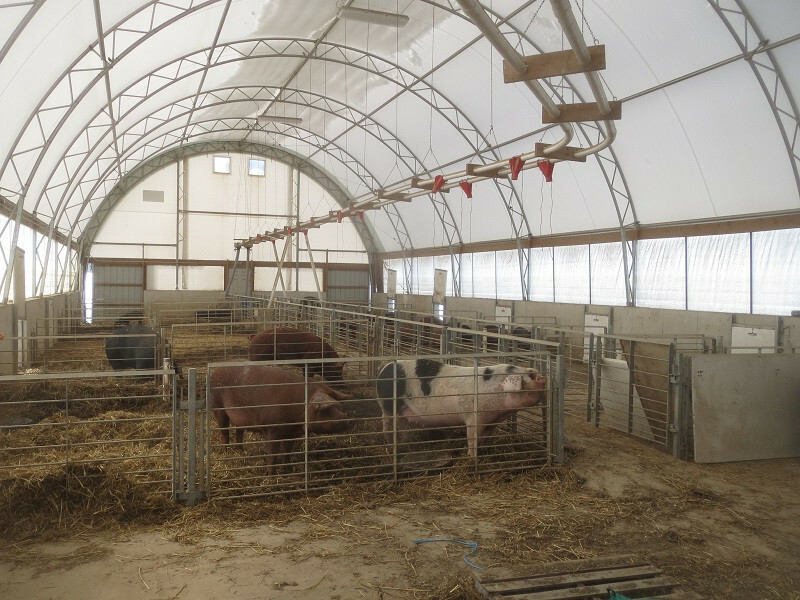 The Rodale Institute has developed a model facility for managing pastured hogs. I was able to visit the Rodale Institute in Kutztown, Pennsylvania last week on the drive back from Manhattan. This beautiful structure enables hogs to be indoors during inclement weather and outdoors otherwise. Pastures can't support hogs every day of the year, so having a hard surface for bad weather becomes advisable. Otherwise, they will root and destroy their outdoor area. This facility allows for simplified delivery of grain and water during adverse conditions. Animals and caretakers are much happier with a facility like this as home-base. 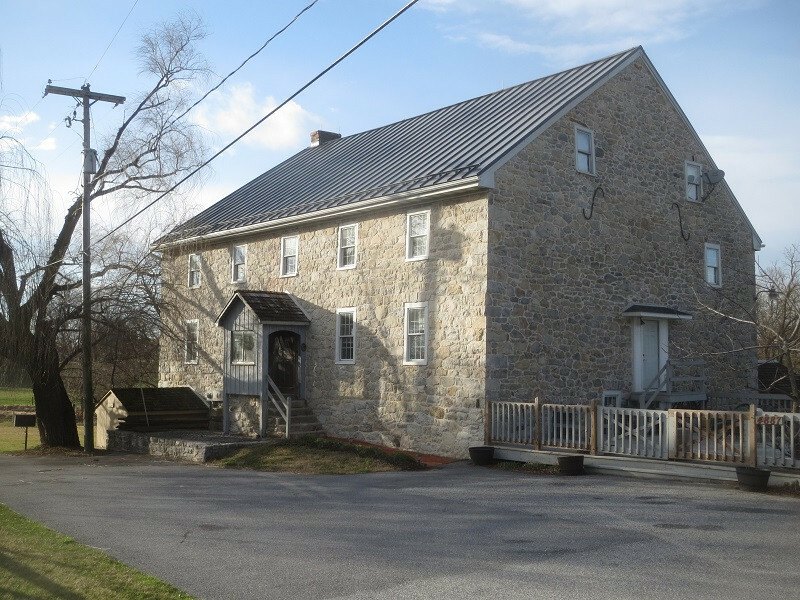 How do we cultivate values, which endure over the ages, like this magnificent house in Lancaster County, Pa.? The founder of a successful group of restaurants in Ohio recently described the company's values as: high-quality food, high-quality service, high-quality environment, and good value. High-quality food is to be: delicious, consistent, familiar, attractive, and healthy, in that order of priority. This is a growing company that has been around more than ten years, so is standing the test of time, in perilous waters of the restaurant business. This company has found success, with food being: delicious, consistent, familiar, and attractive before specifically being healthy... It is hard to argue with this formula for profitability, as results speak for themselves. It seem this founder is indeed building a house of stone rather than straw. After two inches of rain fell onto saturated ground Wednesday night, these cattle felt stressed. When they are bunched-up like this, they are registering discomfort. 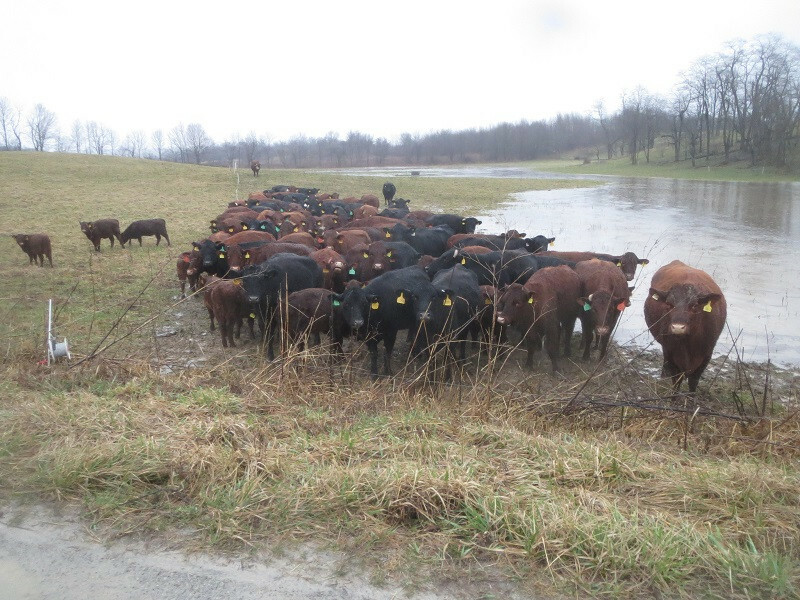 We have received so much rain over the past two weeks, that we have had to change strategies on managing cattle. 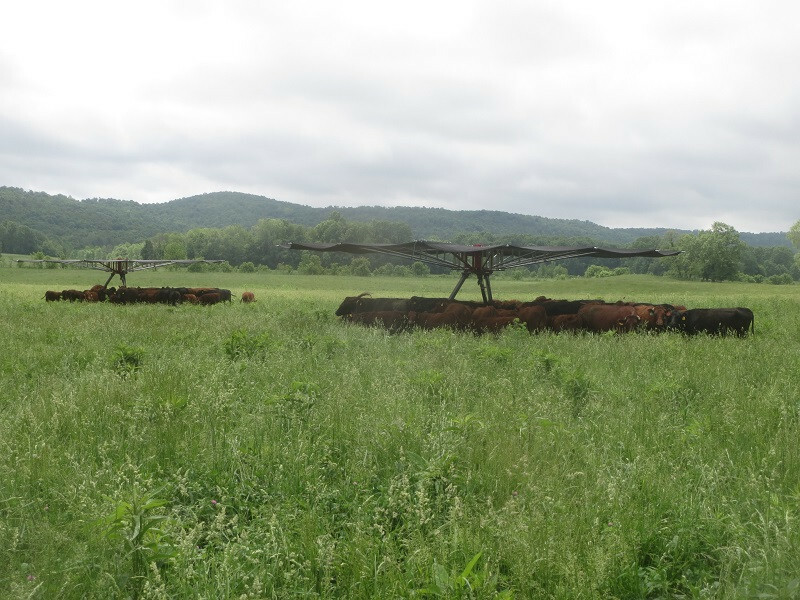 We had been unrolling hay behind the cows, so as not to drive equipment onto ungrazed pasture. But animal impact on grazed, saturated pastures is rendering them too muddy to support a tractor loaded with hay. So, we are now unrolling hay in front of cows. We have to drive over new feed, which is not optimal, but hay is distributed on clean grass, and impact from the tractor is minimized due to untrampled sod. Concentrated groups of ruminants are uniquely effective at massaging the landscape. Land needs to be massaged, just as do hard-working bodies. Herds of wild or domestic ruminants are the only effective means to release tension within landscapes and stimulate life. Mother Nature has been perfecting this interplay between land and animals over millions of years.